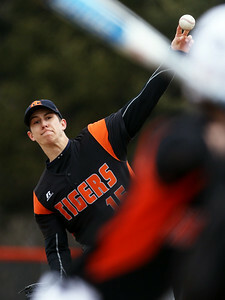 Crystal Lake Central pitcher Dean Mlaka hurls a fastball to a Harlem batter during the second inning of their baseball game at Crystal Lake Central High School on Monday, March 26, 2018 in Crystal Lake. 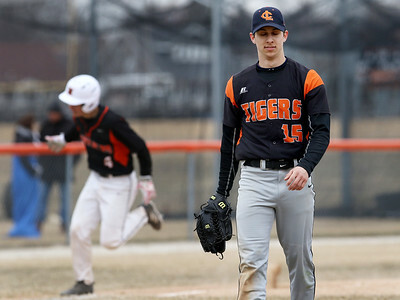 Crystal Lake Central pitcher Dean Mlaka reacts as Harlem's Jordan Anderson rounds third base after a two-run homerun in the fourth inning during their baseball game at Crystal Lake Central High School on Monday, March 26, 2018 in Crystal Lake. 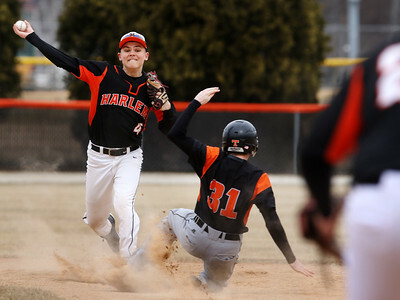 Crystal Lake Central relief pitcher Chase Alig throws Harlem's Caden Springer out at first base after fielding the ball short of the mound in the fourth inning during their baseball game at Crystal Lake Central High School on Monday, March 26, 2018 in Crystal Lake. 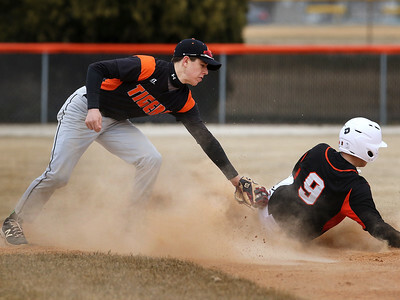 Crystal Lake Central shortstop Will Welder applies the late tag to Harlem's Jake Martin on a successful steal of second base in the fourth inning during their baseball game at Crystal Lake Central High School on Monday, March 26, 2018 in Crystal Lake. Crystal Lake Central catcher Jeremy Laffoon tags out Harlem's David Galas at the plate in the first inning during their baseball game at Crystal Lake Central High School on Monday, March 26, 2018 in Crystal Lake. 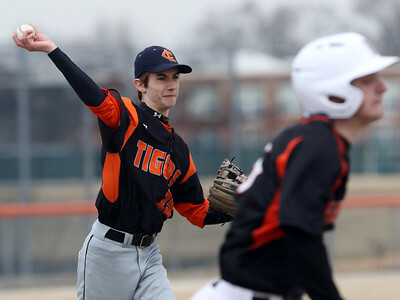 Crystal Lake Central third baseman Jack Updike fields the ball for an out against Harlem during the second inning of their baseball game at Crystal Lake Central High School on Monday, March 26, 2018 in Crystal Lake. 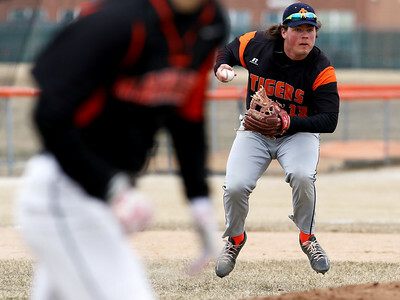 Crystal Lake Central's James Mills is forced out at second base by Jordan Anderson of Harlem during the second inning of their baseball game at Crystal Lake Central High School on Monday, March 26, 2018 in Crystal Lake. 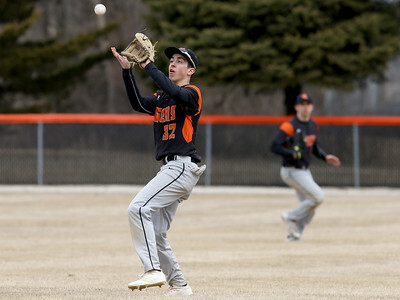 Crystal Lake Central's Richard Hintz makes the catch to end the fourth inning against Harlem during their baseball game at Crystal Lake Central High School on Monday, March 26, 2018 in Crystal Lake.